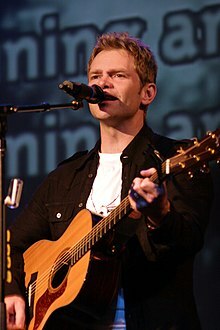 Steven Curtis Chapman (born November 21, 1962) is a contemporary Christian musician who has won five Grammy awards and more Gospel Music Association awards than any other artist in history. As soon as you're willing to humble yourself and say, God, please help — then you can find out that His strength really is perfect, that He really does care for you, that He does really want to meet your need. Let us remember that this scene [the Nativity] represents so much more than just a touching story or a nostalgic holiday fairytale. It is, in fact, a reminder of the most amazing reality: That God came, and God spoke. Peace on earth, God is with us. And the God who spoke still speaks. And the God who came still comes. This is the true Miracle of Christmas – that as we stand here tonight in our real world with our real lives full of problems and questions, past hurts and future hopes, God is with us. There’s obviously always danger in making music or art for art’s sake. Even as Christians we can be guilty of that, being more about the art than the Artist who gave us this gift. This page was last edited on 22 August 2018, at 14:29.